Take the stress out of yearly tax returns. Tax season is stressful, but it doesn’t have to be. Enlisting the aid of a Balanced Books professional is the first step to taking the stress out of dealing with your taxes. With our comprehensive financial tax reporting you can enjoy the peace of mind knowing your taxes are in good hands. The best time to begin preparing for taxes is NOW! Balanced Books Tax Preparers will identify areas for improvement in your specific tax situation, and consult strategically with you year round, to provide the most proactive measures to ensure smooth sailing when tax filing deadlines roll around. We take great pride in ensuring a positive experience for our clients during tax season, and throughout the entire year. Effective tax minimization begins with long-term tax strategizing to establish overall objectives and is maintained with conscientious and consistent annual tax forecasting and mid-year tax planning. 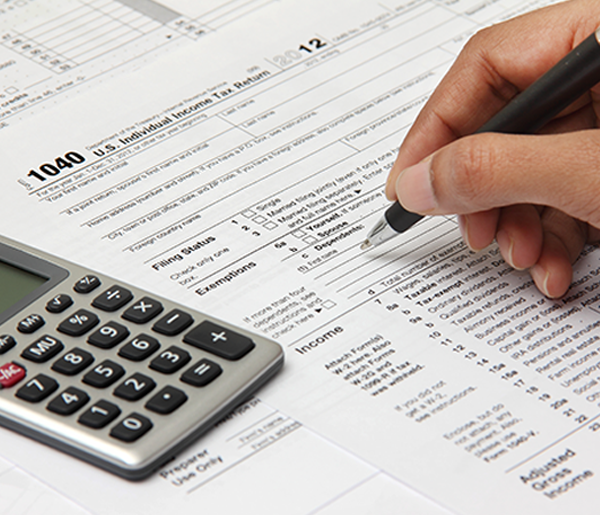 Contact us today for more information on our tax preparation services! Here at Balanced Books,We create financial tax reportings for your records. We can eliminate the risk of calculating and filing your own payroll taxes by having our professionals do it for you. Remember, every question matters. We work for you not for the IRS. Many of our clients save many times the fee in reduced tax liability through careful planning and legitimate tax strategies.